If you have any questions about the MATANTHAR information page below please contact us. This motor yacht MATANTHAR is a 31 m 101 (foot) well proportioned aluminium vessel which was produced from the keel up at Heesen Yachts and designed in the office of Heesen Yachts Design Team. Accommodating 6 guests and 4 qualified crew, motor yacht MATANTHAR was once called Buka. The firm of naval architecture responsible for this yacht's drawings with respect to the yacht was Heesen Yachts Design Team. Further, the interior styling was from the company Heesen Yachts Design Team. Heesen Yachts Design Team was the naval architect firm involved in the formal superyacht composition for MATANTHAR. Her interior design was conceived by Heesen Yachts Design Team. Heesen Yachts Design Team is also associated with the yacht general design work for this boat. the Netherlands is the country that Heesen Yachts constructed their new build motor yacht in. After the formal launch in 2000 in Oss she was then handed over to the proud new owner having completed sea trials and testing. The hull was constructed with aluminium. The motor yacht superstructure component is fabricated predominantly from aluminium. With a width of 6.4 m / 21 ft MATANTHAR has moderate size. A shallow draught of 1.8m (5.91ft) affects the amount of worldwide ports she can visit, depending on their individual depth at low tide. Fitted with twin MTU diesel engines, MATANTHAR is able to attain a maximum speed of 28 knots. Connected to her MTU engine(s) are twin screw propellers. Her total HP is 3600 HP and her total Kilowatts are 2686. 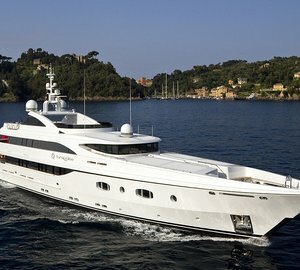 The well proportioned luxury yacht motor yacht MATANTHAR is able to accommodate up to 6 passengers and has 4 crew. 30.8 metres / 101 feet. MATANTHAR features a teak deck. 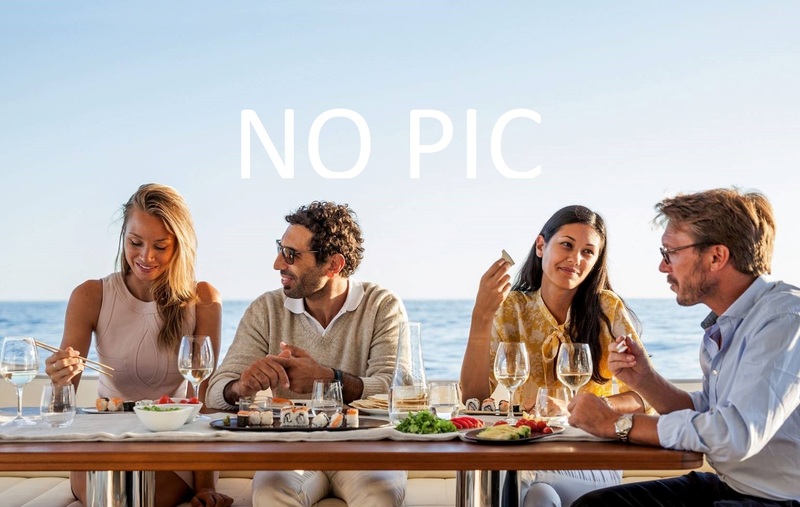 The luxury yacht MATANTHAR displayed on this page is merely informational and she is not necessarily available for yacht charter or for sale, nor is she represented or marketed in anyway by CharterWorld. This web page and the superyacht information contained herein is not contractual. All yacht specifications and informations are displayed in good faith but CharterWorld does not warrant or assume any legal liability or responsibility for the current accuracy, completeness, validity, or usefulness of any superyacht information and/or images displayed. All boat information is subject to change without prior notice and may not be current.